Our product range includes a wide range of electric furnace, scr power controller, wooden pallets heat treatment and thyristor power controllers. Backed by the team of dedicated personnel, we have been competent to offer Electric Furnace to our customers. Our products are made using highly developed technology and performance tested material that is accepted from medical industry. Moreover, to ensure the performance of these products we check these on several parameters of industry. Moreover, to complete the needs and requirements of patrons, we provide this product in different specifications. To meet the specific requirements of our clientele, we are occupied in offering SCR Power Controller. These products are extremely praised in the market owing to easy to use and highly performance. To keep the top performance, our experts use the top quality of material and technology that gives top performances. Besides these, we provide only performance tested product to our patrons at nominal costs. we are manufacturer of Wooden Pallets Heat Treatment. 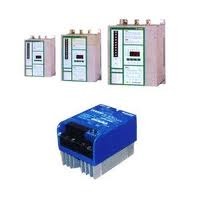 We are offering thyristor power controllers. These are engineered from the best quality raw material and are acknowledged for their sturdy construction and durable service life.